I didn’t know which industry I wanted to go into, but I knew if I learned the building blocks of business, I could take that knowledge in any direction and apply it in any industry. Growing up in a household where both of her parents started their own companies, entrepreneurship was a natural choice for Soom Foods CEO Shelby Zitelman, W’07. 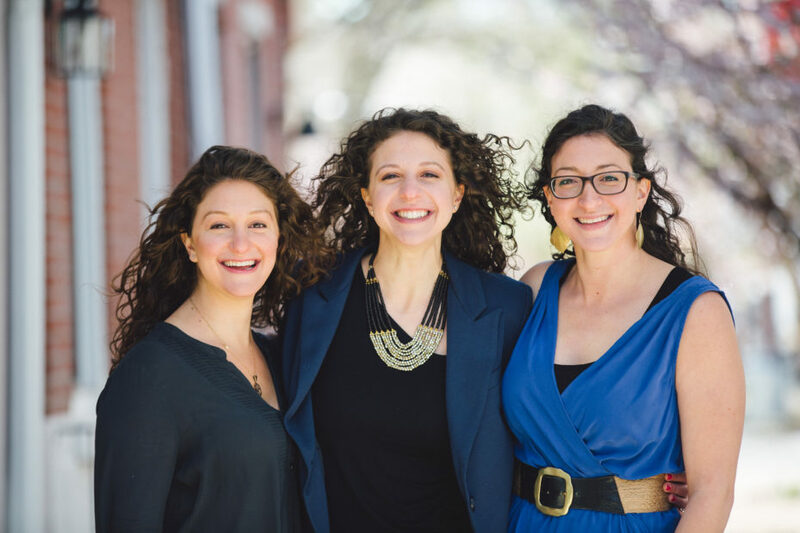 In the four years between graduating from Wharton with a degree in Entrepreneurial Management and co-founding the Philly-based tahini company in 2011 with her sisters, Jackie and Amy, Shelby continued her entrepreneurial education on the job. She gained experience in business planning, fundraising, and operations as a fund analyst at Ben Franklin Technology Partners, a nonprofit economic development corporation that invests in startups to stimulate revenue and job growth for the Commonwealth of Pennsylvania. Next, she spent a year in Israel studying at the Pardes Institute of Jewish Studies and working for a joint MBA program between the University of Maryland Entrepreneurship Center and the Technion, then joined PresenTense — an international nonprofit organization serving the Jewish community. She grew from program manager to co-director at the nonprofit, which provided entrepreneurship training to social entrepreneurs through a fellowship-type program. Shelby’s role at PresenTense took her back to Israel, where the idea for Soom Foods was born. “If you’ve had the opportunity to travel abroad and try cuisine that’s native to that place, you’re like this is amazing, why can’t I find it in America?” she said. That’s what happened when Shelby’s now brother-in-law, a sesame expert in the tahini industry, introduced her to tahini made from White Humera sesame seeds from Ethiopia. That fueled the discovery process as she started to research different types of tahini, how it’s used, and if there was an opportunity to make it more visible in the American market. In just five years, Soom Tahini has has made its way into the kitchens of some of America’s top restaurants and chefs (including Michael Solomonov of Zahav), the shelves of local retailers like Whole Foods, and the pages of the New York Times Magazine, Bon Appetit, Food and Wine, and James Beard’s cookbook of the year, Zahav: A World of Israeli Cooking. And for those with a sweet tooth, Soom’s gluten-free, peanut-free, vegan product line has expanded to include a chocolate spread made with sesame. Recently certified by the Women’s Business Enterprise National Council, the family-operated, women-owned business has made quite an impact in the local entrepreneurship community too. Living just across the bridge in the Graduate Hospital area, Shelby wanted to reconnect with Penn and share some of the knowledge that she and her sisters have learned from building their business. She found the perfect opportunity through participating in Penn Wharton Entrepreneurship’s Entrepreneur in Residence Program. She met with about a dozen students at various stages from a range of industries and disciplines — including a student who submatriculate into her MBA but has a focus on environmental studies, and a First Year who who had consulted for six years, moved to industry for two, and is now starting his own business. “I love that this program exists — there’s a lot of value for students to hear different perspectives and to get feedback on their ideas at the early stages so that they can anticipate some of the obstacles that they might have to overcome in the future,” Shelby said.